Chicken, onions and bell peppers tossed together in white wine, garlic and red pepper flakes. Served over delicious angel hair pasta. Super quick! 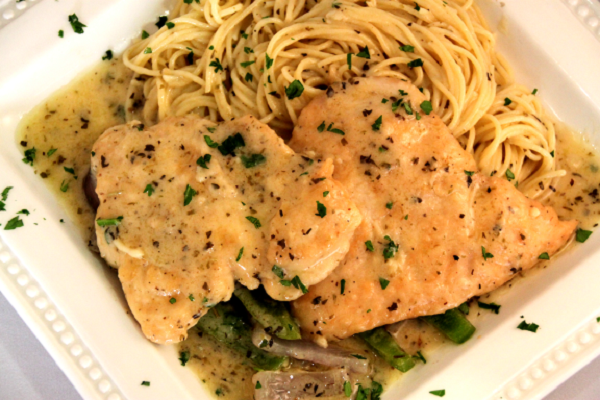 Bang out this gourmet chicken scampi dinner in under 15 minutes without all the fuss. Okay...I luv pasta. This is definately one of my favorite meals. I added capers which makes everything perfect. Yummy. This was delicious & I was able to cut the tender chicken with a fork- the flavors of the sauce & chicken were delicious!! 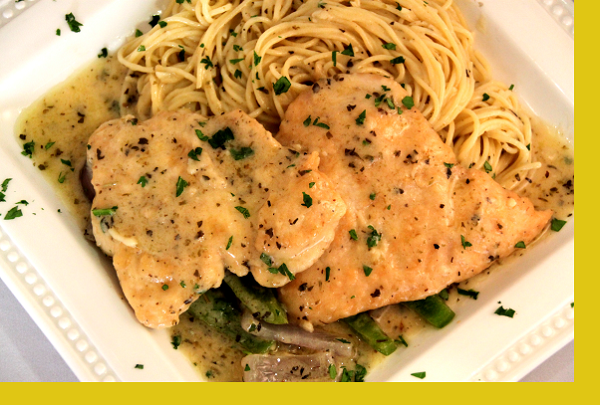 Chicken Scampi was delicious As has been stated, Maria's sauces are the best! They give the dishes that special touch. What differentiates Maria's food from others is her freshly made sauces. This is a perfect dinner, delicious easy and quick to prepare! Easy to prepare.. Great flavor.would order again.